Say what you will about Hong Kong, but you can’t deny that there’s no place quite like it. For better or for worse, it would seem. Not everyone instantly falls in love with HK. 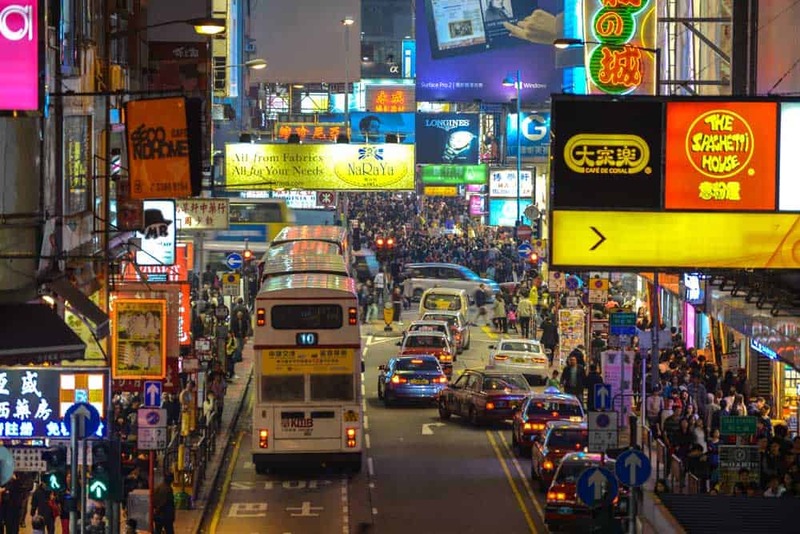 The chaos of Kowloon or even Central can be overwhelming in your first 24 hours in Hong Kong. Ride it out. Like a fine scotch, Hong Kong will grow upon you. It won’t be easy to swallow at first. But once you’ve developed a taste, you’ll crave it; HK will never quite get out of your head. To get your experience in this small Chinese territory off to a good start, I’ve written up a comprehensive guide on where to stay in Hong Kong. First off is a list of the best areas to stay in Hong Kong for travellers. Each of the districts I’ve outlined below will put the whole city at your fingertips and let you explore HK to your heart’s content. And if you’re not picky on the neighbourhood, I’ve also stitched together a list of some of the best hotels in Hong Kong for independent travellers sorted by budget. Between these two resources, you’ll soon be lounging in one the best places to stay in Hong Kong! You won’t be shocked to discover that Hong Kong hems together an interesting mosaic of neighbourhoods. This is, after all, a true world city. And HK’s not just one of the best places to visit in Asia, but one of the best travel destinations in the world. Hands down. 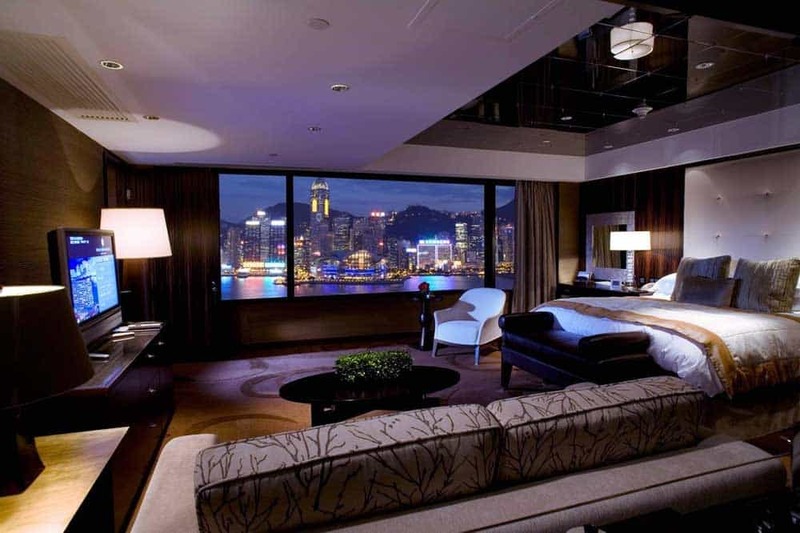 Many of the best places to stay in Hong Kong are jammed into the various districts of Kowloon and Hong Kong Island. Thanks to an efficient transportation system, wherever you stay in the following 6 districts, you’ll be close to all of the best things to do in Hong Kong. For most travellers, it’s hard to beat staying in Tsim Sha Tsui on your first trip to Hong Kong. The eclectic area sits at the tip of the Kowloon peninsula, hemmed in from the south by Victoria Harbour. There’s a little mix of everything in Tsim Sha Tsui (TST) ranging anywhere from glitzy boutiques to hole-in-the-wall market stalls. And the selection of hotels in Tsim Sha Tsui, including most of the best hotels in Kowloon, is much of the same. At once you’ll find in TST both the best 5-star hotels in Hong Kong and the most extreme (and sometimes downright scary!) budget hotels in Hong Kong. And, of course, there’s quite a bit in between. A wide accommodations inventory and quick access to many of Hong Kong’s best attractions and top restaurants provide just two of many reasons to give Tsim Sha Tsui a first look when booking your HK trip. If there’s any area in Hong Kong that’s overwhelming for finding accommodations it’s Tsim Sha Tsui. The neighbourhood isn’t large, but its central location means that it’s become one of the city’s most popular hubs for travellers. The massive selection of guesthouses and hotels reflects TST’s popularity. One word of caution. The area is known as the budget accommodations capital of HK, driven partially by one place: Chungking Mansions. No doubt you’ll find a cheap place to stay in this ridiculous sprawl of a complex. But from personal experience, I’d advise you to stay away if possible. I won’t lie: Chungking Mansions is one of Hong Kong’s most, ummm—interesting?—”cultural” corners. You’ll get a dash of energy as you push through the crowds here, drifting through smoke that wafts the smell of pakoras and curries toward you and ignoring the touts peddling black market iPhones. It just isn’t, maybe now for obvious reasons, the most savoury or relaxing of places to lay your head down at night. 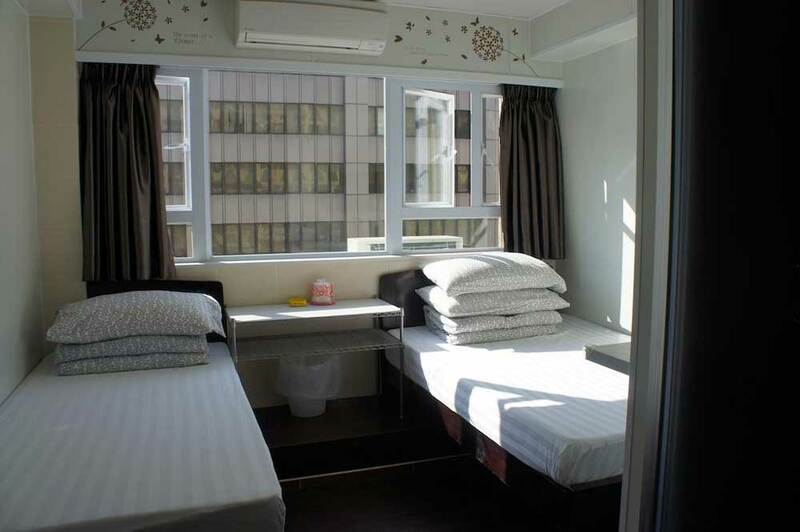 HK Peace Guest House: A budget hotel with small but clean and cozy rooms. Located near the Tsim Sha Tsui MTR and just 10 minutes from Star Ferry and Avenue of the Stars by foot. Warning: the building where the guesthouse is located (Mirador Mansion) might not be suitable for all tastes. 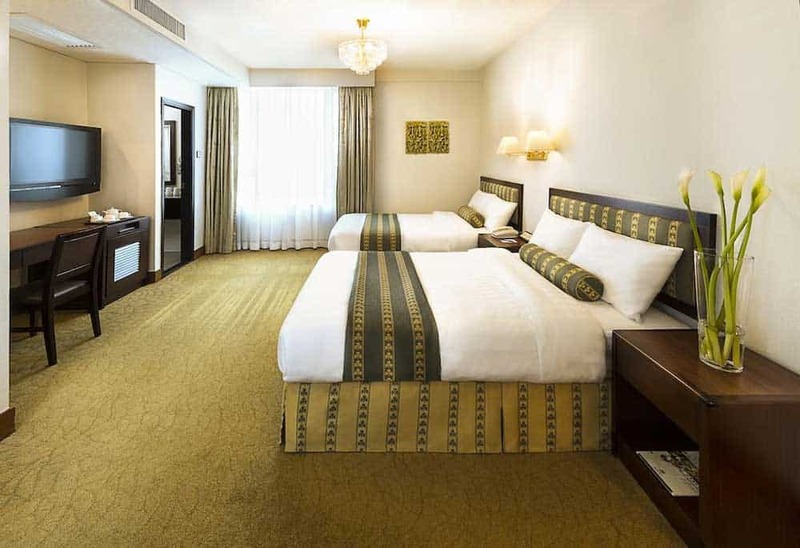 Shamrock Hotel: A delightful three-star hotel that lies just outside the Jordan MTR Station. Besides all the shopping at your fingertips, staying here puts you within minutes of Temple Street Night Market and the Australia Dairy Company, one of HK’s most famous breakfast joints. Hotel ICON: An über-stylish luxury hotel that furnishes incredible harbour and city views. Spend the evening relaxing with drinks over the Hong Kong skyline by the rooftop pool to see what all the fuss is about. 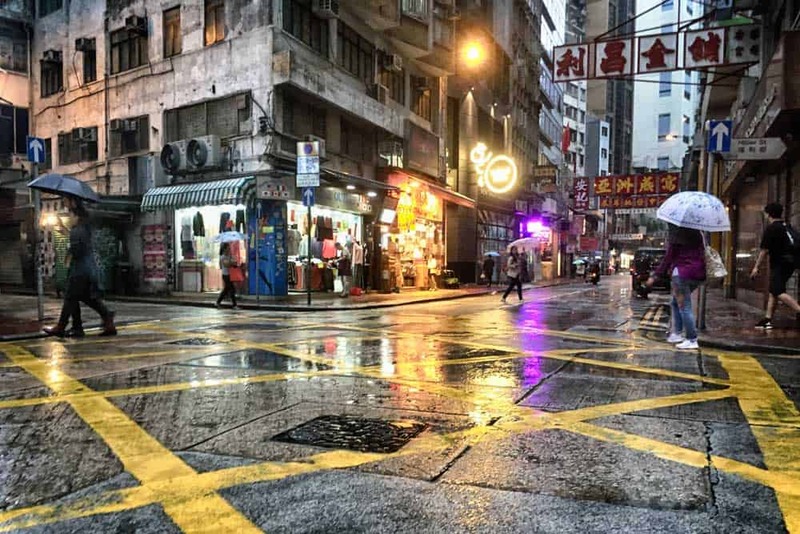 Sandwiched between Tsim Sha Tsui and Mong Kok, Yau Ma Tei transitions perfectly between the glamour of south Kowloon’s boutiques and the working-class character of the areas further north. The quirky atmosphere in Yau Ma Tei is simply contagious. 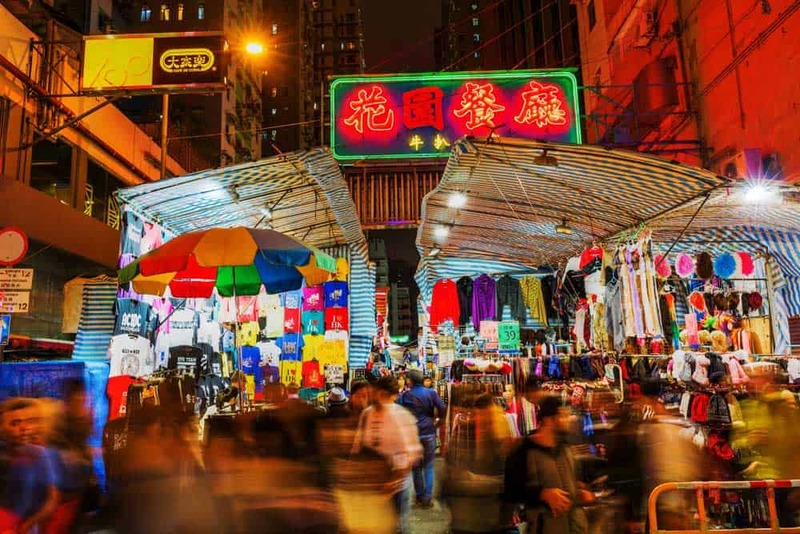 From bustling night markets to smoky street-side eateries that serve some of the best fare in the city, Yau Ma Tei is never boring, day or night. That alone puts this cool little Kowloon neighbourhood among our top picks of the best areas to stay in Hong Kong. Like Tsim Sha Tsui to the south, Yau Ma Tei is one of the better places in Hong Kong to find budget accommodation. 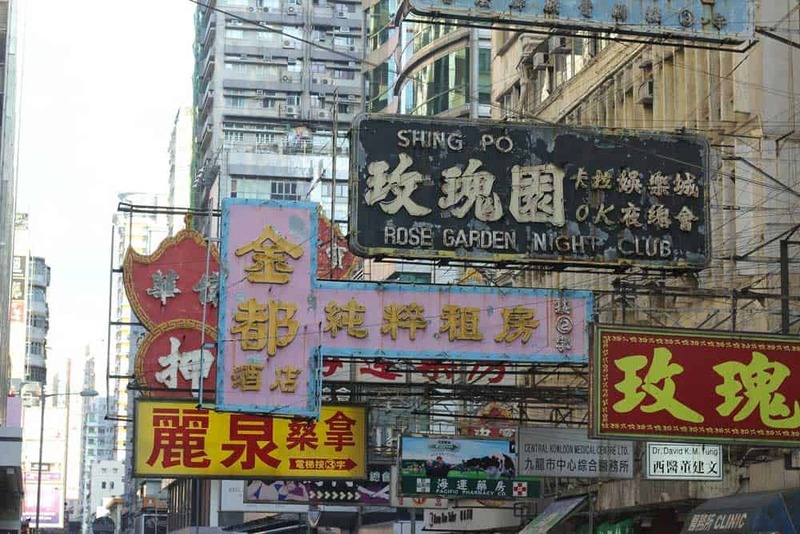 Lacking anything as infamous as Chungking Mansions, Yau Ma Tei doesn’t beg me to offer up any kind of restrictive advice on where you shouldn’t stay here. The area is safe, even at night, if a little hectic. Coming Inn: A newcomer on the budget hotel scene in Yau Ma Tei. The hotel is located just 5 minutes away from Yau Ma Tei MTR Station on the main drag, Nathan Road. Not surprisingly for HK, the accommodations are small, but they’re cozy and offer cool design touches normally reserved for more expensive places. 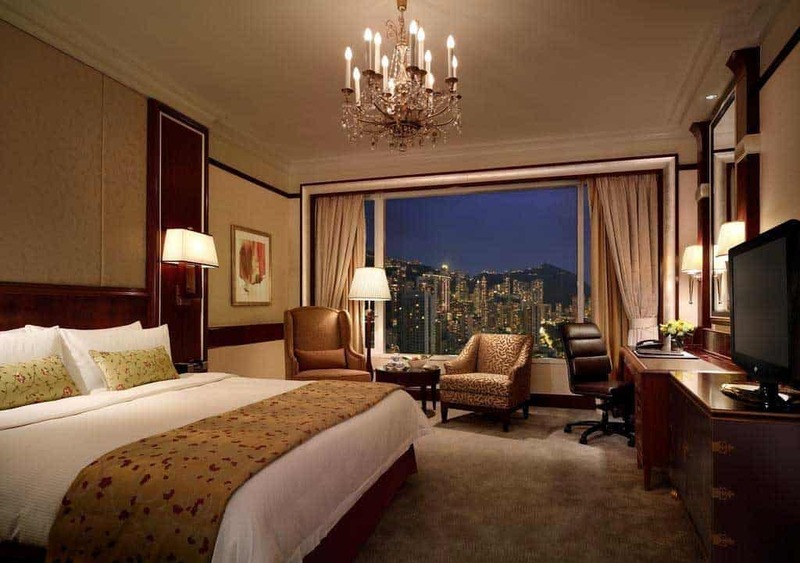 Inn Hotel Hong Kong: An elegant 3-star hotel that’s an excellent value for the area. Cheaper rooms are a little small (well, hey, this is Hong Kong! ), but offer high ceilings and bay windows with splendid city views to compensate. Temple Street Night Market is just 10 minutes away. Hotel Stage: A modern 4-star hotel with rooms that defy Hong Kong’s reputation for crammed space. The property is within a stone’s throw of the buzz-worthy Temple Street Night Market. As an added touch, bookings include a free smartphone rental for the duration of your stay. The Ritz-Carlton Hong Kong: One of the world’s most spectacular luxury hotels. The hotel soars between the 102nd and 118th floors of the International Commerce Centre and brings along massive views over Victoria Harbour Harbour with it. The hotel features the world’s highest bar and five scrumptious restaurants including Michelin-starred Tosca Italian and Tin Lung Heen. If you’ve got the budget to stay here, you don’t want to miss this one! Want to experience Hong Kong at its most electric? Lay your head to rest in the buzzing area of Mong Kok. 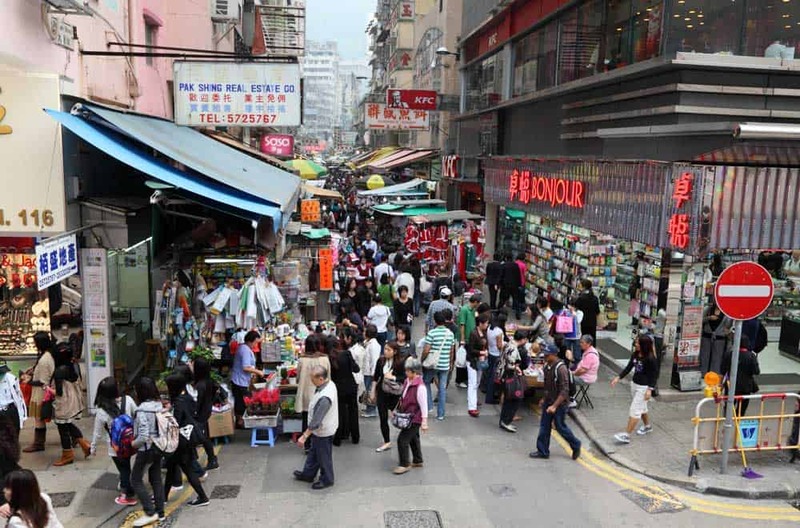 Located north of Yau Ma Tei, Mong Kok is one of the city’s most densely populated areas and harkens back to Kowloon at its more traditional. Wandering along Mong Kok’s neon-kissed streets at night among an endless throng of Hongkongers reveals the city’s at its most intense. 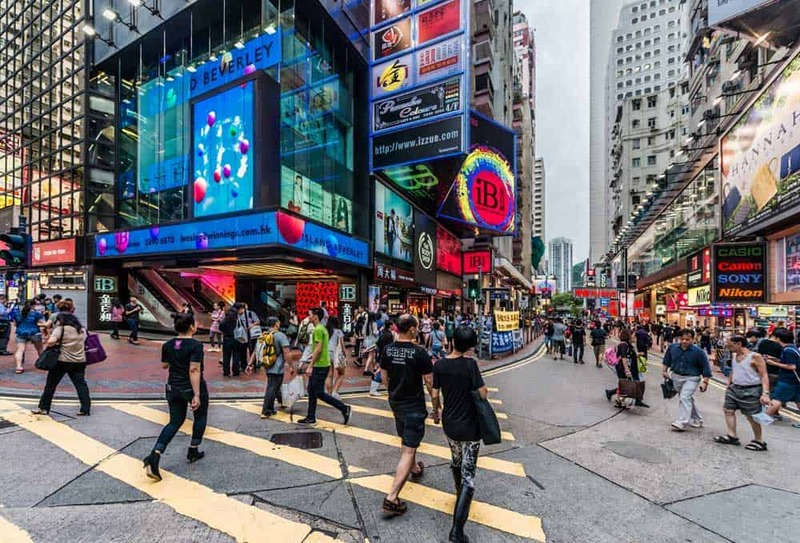 Besides the onrush of adrenaline that comes with a visit to Mong Kok, some of Hong Kong’s best shopping and eating dwells here. A far cry from the upscale boutiques of Tsim Sha Tsui or Causeway Bay, much of what you’ll find in the Mong Kok area stoops towards the more traditional. Streets like Sai Yeung Choi (electronics) and Shantung (fashion) will sharpen your bargaining skills and keep you busy for hours. And let’s not forget Tim Ho Wan, the restaurant that etched Mong Kok into the foodie trail. The original Mong Kok location is no longer with us, but we’re still happy with the Olympian City location on the neighbourhood’s westside. Other fine dining options like Ming Court and Lei Garden continue to make a strong case for staying in Mong Kok. 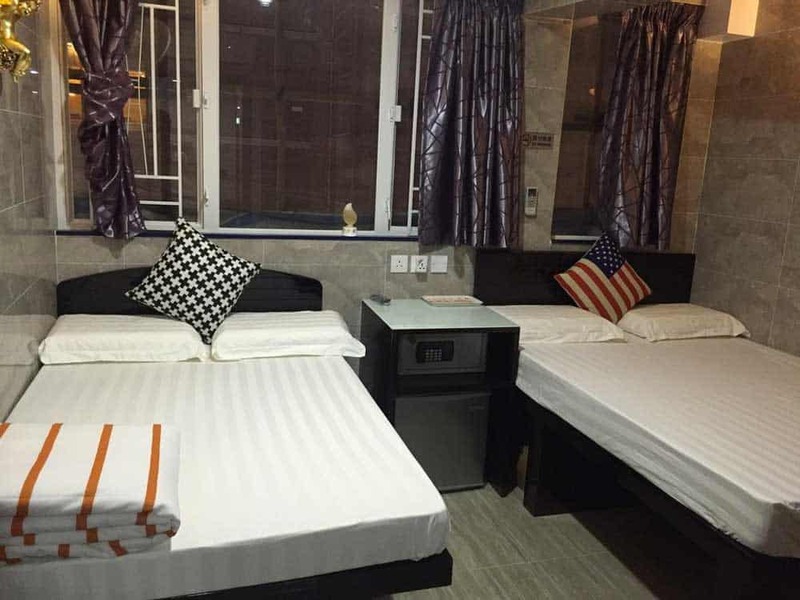 Kam Fu Guesthouse: A no-frills budget guesthouse with clean cozy rooms for your stay in HK. Located close to a ton of yummy restaurants and some of Mong Kok’s best shopping. Metropark Hotel Mongkok: A modern 4-star hotel that’s a short stroll away from Mong Kok’s coolest attractions and Prince Edward MTR Station. Rooms are newly-renovated with elegant design touches that betray its price point. 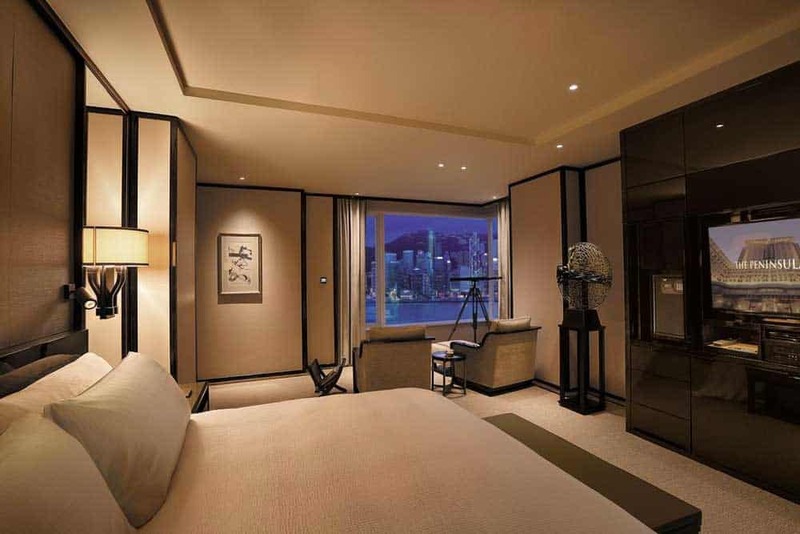 Cordis, Hong Kong: An elegant 5-star luxury hotel that rises among HK’s best. Spacious guestrooms offer spectacular views over the city. The two-Michelin-starred Ming Court, a fine-dining Cantonese restaurant, sits below. If you love to shop, there’s no better area in Hong Kong to base yourself than its consumerist heart of Causeway Bay. From Times Square to Lee Gardens, Causeway Bay’s the perfect place to unload some HK$ on all the latest designer fashions. It’s not just about luxury shopping though. Waking up to catch a slow-motion breeze of early morning tai chi in Victoria Park or relaxing in the garden of Tin Hau Temple proves that Causeway Bay is more than just a feather in the cap of China’s bastion of capitalism. Even simply grabbing a meal on Houston Street, also unimaginatively known as Food Street, will be enough to convince you that a stay in Causeway Bay is always a good idea. Although Causeway Bay is Hong Kong Island’s biggest accommodations hub, you’ll find a much smaller selection of places to stay here than in the various areas of Kowloon. There’s a surprising lack of ultra-high-end luxury hotels considering the barrage of upscale boutiques lining the street. Timehouse: One of the best budget options in Causeway Bay. Rooms are a tight squeeze, but homy design touches throughout the property add some comfort. Metropark Causeway Bay: A top-notch 4-star hotel that’s surprisingly value-laden for HK. The ridiculously magnificent harbour views from the pool are worth a stay alone. Crowne Plaza Hong Kong Causeway Bay: A top-of-the-game luxury hotel in the heart of Causeway Bay. 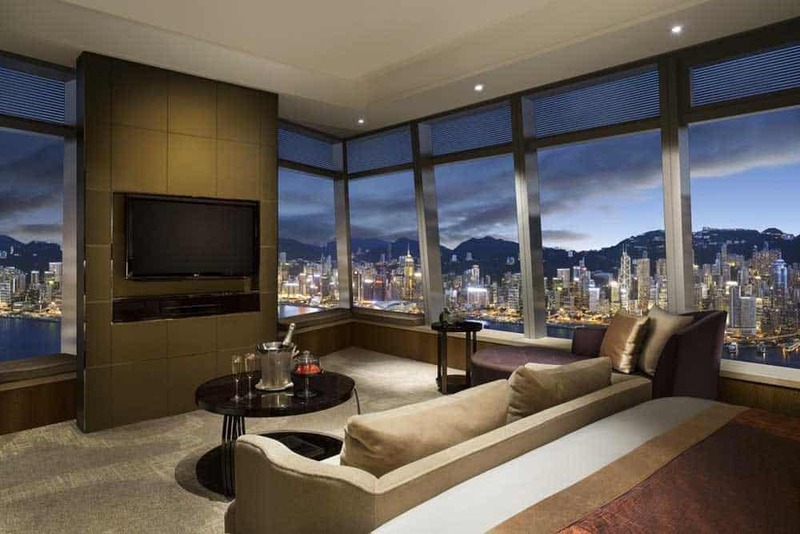 Rooms feature floor-to-ceiling windows with an eye out over Hong Kong’s spectacular skyline and mountains. Burn off some dim sum at the well-stocked fitness centre or 28th-floor outdoor pool where you’ll breathe in even more tremendous city views. Snuggled between the skyscrapers of Central and the boutiques of Causeway Bay, Wan Chai presents a fleeting glimpse of Hong Kong Island’s past. By day, this historic district, once a British colonial stronghold, serves up more traditional shopping that’s far more lowbrow than that of its upper-class neighbours to the east and west. By night, Wan Chai is another story all together. Wan Chai is home to some of Hong Kong’s most famous nightlife, centered around the infamous Lockhart Road area. The bars here lean more towards edgy than classy, much like the street markets elsewhere. In fact, this applies to much of the area. There’s no doubt: Wan Chai’s a little rougher edges than both Central and Causeway Bay. And that’s precisely why you might enjoy staying here. Wan Chai is still centrally located, safe, but it doles out just enough bite to keep things interesting. Check Inn HK: Our top pick for budget hotels in Wan Chai. Offers both private rooms (with or without private bathrooms) and dorms. Located just 5-minutes from Wan Chai MTR for convenient access to rest of the city. Hotel Indigo Hong Kong Island: A sleek modern boutique hotel that sits just steps away from Wan Chai MTR Station. Soak in the incredible views with a cocktail in hand from the 29th-floor Sky Bar. The dreamy rooftop infinity pool is also a nice touch for your stay. Grand Hyatt Hong Kong: A top-notch luxury hotel in the heart of Wan Chai. Views over Victoria Harbour paint a lovely cityscape through the floor-to-ceiling windows in the guestrooms. All reservations include use of a free 4G smartphone to roam around HK with during your stay. Wedged between the Peak and Victoria Harbour, Central feeds Hong Kong’s reputation as a city where business comes first and dollars rule the roost. The gleaming skyscrapers of Central form what’s one of the world’s best skylines. And tramping between them, gawking at their never-ending upward crawl, is no less beguiling than watching them dance to the Symphony of Lights from across the harbour in the Tsim Sha Tsui area. Like Causeway Bay, Central’s one of the premier destinations in HK to fill your suitcases with the latest fashions. And, no, it isn’t going to be cheap. The focus is as upscale as the towering financial district would suggest. Throughout Central, designers like Yves Saint Laurent and Louis Vuitton are well-represented whether at the exclusive LANDMARK or the ritzy Pacific Palace. Even with all the money changing hands, there are still several pockets of Central that hold steady to Hong Kong’s older flavours. Exploring the stairwells & alleyways northwest of Central MTR or lunging into the eateries of Wellington Street is as fulfilling an experience as you’ll have anywhere in the city. 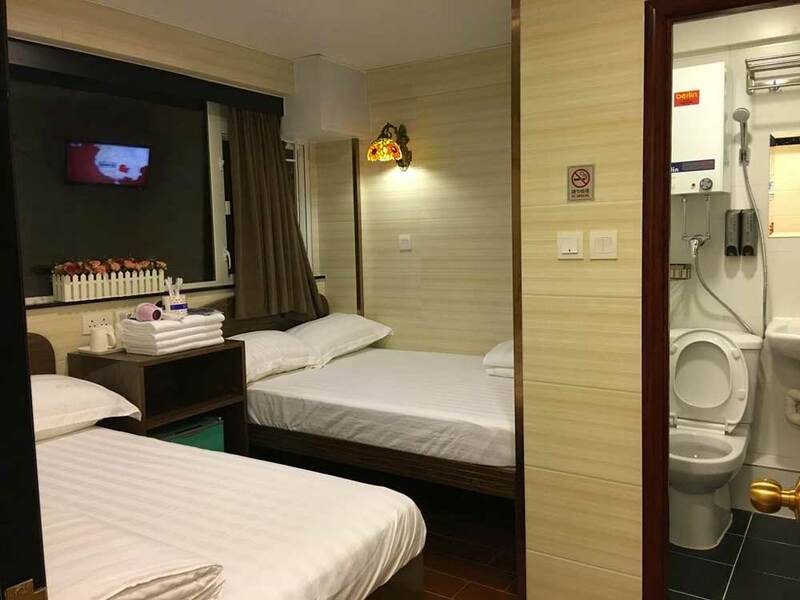 mini Hotel Central: One of the only truly budget hotels in Central. Rooms are seriously cramped, even by Hong Kong standards, but beds are comfortable and the location is unbeatable at this price. Butterfly on Wellington Boutique Hotel: A classy 4-star hotel brimming with character. The design aesthetic fuses contemporary and traditional Chinese elements for a completely unique take among HK hotels. Its location, just steps away from SoHo and the Mid-Level escalators, and the free smartphone rental for the duration of your stay doesn’t hurt either. Mandarin Oriental Hong Kong: An absolute gem of a luxury hotel that’s among the best on the entire continent. From top to bottom, the Mandarin Oriental Hong Kong gleams with elegance. Floor-to-ceiling windows in all the guestrooms reveal breathtaking city and harbour vistas. An evening of relaxation in the spa or around the luxurious indoor pool will release all the tensions of prowling through Hong Kong’s busy streets. You wouldn’t be alone in concluding that Sheung Wan is the coolest neighbourhood in Hong Kong. When stacked beside Central to the west, it can feel as if two different worlds have collided. Sheung Wan steps away from the glitz and dives into Hong Kong’s more traditional roots. A genuinely fascinating mix, pitting lively Chinese food & medicine markets against fading British colonial possessions, keeps Sheung Wan ticking in the back of your mind. Even if the traditional markets aren’t quite your style, Sheung Wan is a stone’s throw from the delectable eateries of Wellington Street and the raucous nightlife of the SoHo area—and at a better price to boot. Ibis Hong Kong Central & Sheung Wan: A standard 3-star hotel rockin’ out views far better than its price would suggest. The hotel is central, especially close to the ferry terminal for a day trip to Macau. Hotel LBP: A cozy boutique hotel close to Sai Ying Pun MTR Station. The economy rooms can be a tight squeeze. Upgrading to their suites, however, doesn’t break the break, and gives you a tad more space for your stay than most places in HK at the price point. Butterfly on Waterfront Boutique Hotel: A unique and beautiful 4-star hotel that wows with spectacular harbour view rooms. Perks like a mobile docking station and 4G pocket WiFi makes the stay all the more worthwhile. The Jervois: The best luxury hotel in Sheung Wan oozing with style and sophistication. Suites are ridiculously spacious for HK and serve up the area’s best city views. Every reservation includes a smartphone with 4G and free long distance to use while traipsing around Hong Kong. Hong Kong’s not known at much of a budget travel destination in terms of accommodations. Like choosing where to stay in other big Asian metropolises like Singapore or Tokyo, Hong Kong often comes at a premium. That’s not to say it’s impossible to find a good deal. Most of the best budget hotels in Hong Kong dwell in Kowloon. If you’re trying to save some money aim stay in Tsim Sha Tsui , Yau Ma Tei or Mong Kok where you’ll find the best selection. Located within walking distance of Jordan Station MTR, Ocean Inn comes across as a fabulous example of old and new, where Western amenities rub shoulders with Eastern decor to give you a memorable stay. With plenty of fine dine restaurants, lively bars and a long slew of shopping options present just a few minutes away, this is no doubt a great place to stay in Hong Kong. Each room is equipped with air-conditioning and free internet access. If you want to revel in a breezy atmosphere and enjoy scenic city views on a budget, Ocean Inn will appeal to you. And the fact that it’s close to Kowloon Station eliminates the need to travel to far to access prime tourist spots. Then there is the Jordan area nearby as well, where you can choose from a plethora of dining options, including local Cantonese cuisine, and wash it down with a mug of local wine or beer in any one of the area’s happening bars. 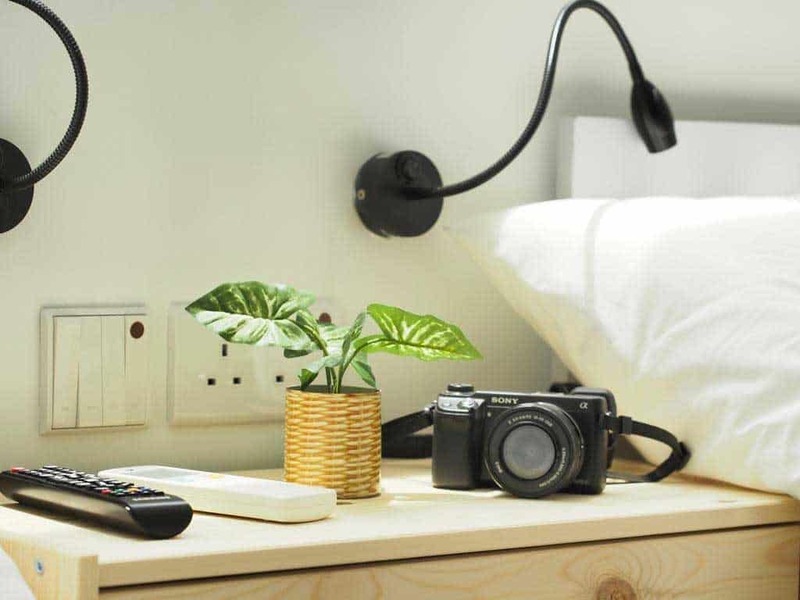 Featuring an impressive combo of minimalist decor, helpful staff and strategic location moments away from Tsim Sha Tsui Station, HK Peace Guest House is one of the best places to stay in Hong Kong on a budget. Rooms are air-conditioned with cable TV and private bathrooms offered. Free internet is also available throughout the property. The HK Peace Guest House is well-placed for touring the major attractions of Hong Kong. Whether you want to take in some breathtaking temples in Kowloon or bing on Cantonese gastronomic delicacies, it’s all just steps—or a quick MTR ride—away. The world-famous Hong Kong jade markets are also in close proximity. Strike a deal with a shopkeeper to bring home a souvenir that will forever remind you of your Oriental getaway. With a name that means home in Cantonese, Ukkei Inn set itself a big promise to fulfill. And they deliver admirably, offering pet- and family-friendly budget accommodations that feel less like a guesthouse than your own little corner of Hong Kong. There’s a rare personal touch here. The owner goes above and beyond to make sure your stay in HK is as comfortable as travelling in your own backyard. Each room in this small guesthouse is equipped with reliable air-conditioning, flat-screen TV, and a private bathroom where you’ll find slippers, toiletries and a hair dryer stashed away for your comfort. The accessible location is another reason to stay at Ukkei Inn. The Ladies’ Market and the Temple Street Night Market is a just a few minutes away by foot, so you won’t be exhausted by the time you reach the tourist hot spots. The Yau Ma Tei neighbourhood, where the Ukkei Inn hangs out, is the perfect place to chow down on succulent Cantonese food and get a little bargain shopping done. A small yet impressive guesthouse, Modern Hotel is an example of budget-friendly accommodation that crams lots of facilities into a small space without sacrificing quality. The entire property is drenched in an intimate and calm aura, promising a worthy escape from the hustle-bustle of city life outside during your stay. Rooms are small, but have an understated appeal with a contemporary design blends with Oriental artwork, distinctive sculptures and ceramics. Free WiFI, cable TV, air-conditioning and private bathrooms are some of Modern Hotel’s other highlights. Amid an upscale city brimming with luxury hotels, Modern Hotel manages to make its mark for its welcoming staff, homely comforts and strategic location. Even though there is not much to do on-site, you can easily access tourist attractions without the help of a guide—or even Google Maps for that matter. Modern Hotel is situated within walking distance of the Star Ferry Terminal for an always delightful commute over to Hong Kong Island. Expect to walk no more than 10 minutes from Modern Hotel to reach the Tsim Sha Tsui area for shopping and lounging. Bathed in gentle and calming minty colours, The Green House truly lives up to its name. Each room at this guesthouse features private bathrooms, flat-screen TV and a sitting area for those times when you want to escape the hit-or-miss weather in Hong Kong in the luxury of comfortable air-conditioned interiors. There’s shared kitchen, as well, perfect for families looking to save money by self-catering during their stay. Kowloon Park and Harbour City lie just a few meters from The Green House. Whether you want to join in with early morning tai chi or spend the afternoon shopping at Hong Kong’s largest mall, it’s all at your fingertips. Tsim Sha Tsui, too, is just a few steps away where you can shop for all your favourite clothing brand without a sweat. 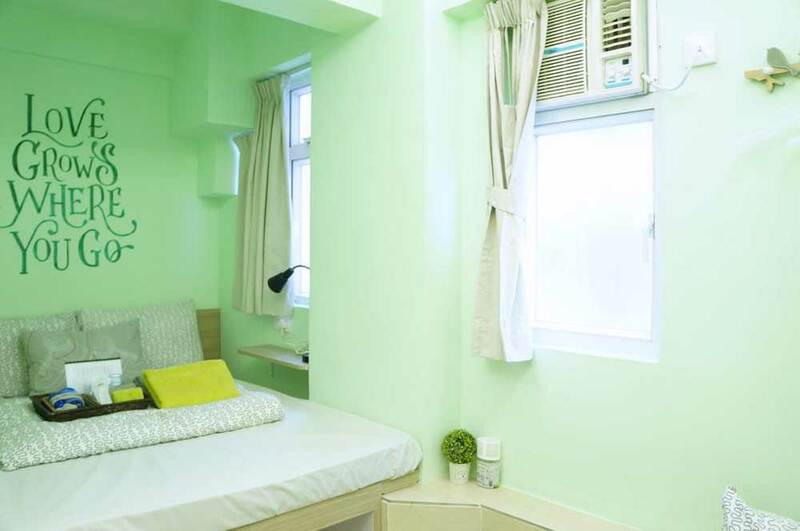 Overall, The Green House is a nice choice for anyone looking to avail modern comforts during your stay in HK without compromising on convenience or cost. Beyond the budget accommodations of Kowloon, there’s a huge leap forward in quality when your travel budget swings into the mid-range. By spending a little extra during your stay, you’ll be able to find comfortable and stylish digs in other areas of the city. We won’t lie and say that you’ll find palatial hotels at bargain prices like you would in searching out where to stay in a city like Kuala Lumpur or Hanoi. Situated along the legendary Nathan Road, Shamrock Hotel fuses elegant European sensibilities into an experience that’s wholly unique in Kowloon. Bright and airy rooms are fitted with everything you’ll need for a comfortable stay. Whether it’s relaxing in front of the tube before bed with a drink from the minibar or hopping on FaceTime with family and friends using the free WiFi, you’ll love the coziness of this homy hotel. Most importantly, Shamrock Hotel is nestled in a busy tourist area amid shopping and cultural attractions. You can buy branded wear at the Canton Road nearby, or nab a good deal at the factory outlets of Park Lane Shopper’s Boulevard. Or, if you prefer to go old-school, get a feel of the city’s past at the interactive exhibits at Hong Kong Museum of History or dive into the nearby traditional Temple Street Night Market, just a stone’s throw from the Jordan MTR Station. An absolute gem for the HK mid-range, Metropark Hotel Causeway Bay immediately grasps your attention with its commanding views over Victoria Harbour. The hotel’s updated rooms feature elegant wood furnishings and luxurious modern bathrooms, far better than you’d expect for the price in Hong Kong. What really separates the Metropark Hotel Causeway Bay among these top picks for where to stay is the rooftop pool where you can enjoy million-dollar views of the harbour. State-of-the-art gym and sauna facilities similarly provide the perfect downtime after a day of sightseeing. Or if less active pursuits are more your game, re-energize at the Cade du Parc fusion restaurant or Vic’s Pub for live music and evening cocktails. Walking up every morning to stunning waterfront views isn’t the only reason to lay down your head at Metropark Hotel Causeway Bay. The hotel is a two-minute stroll to the Tin Hau MTR for access to the rest of Hong Kong Island and beyond. Don’t miss out the nearby Tin Hau Temple, one of Hong Kong’s most popular temples, or Times Square, Causeway Bay’s premier shopping destination. 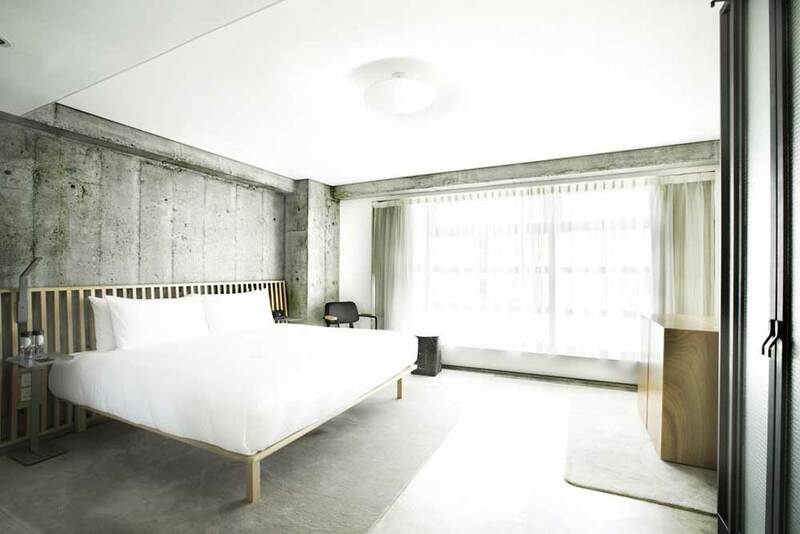 An elegant boutique hotel with a waterfront view, TUVE Hotel is set behind Causeway Bay, and housed in an awe-inspiring combination of white marble and galvanized steel on the exterior. You’ll absolute love the minimalist rooms, done up in either wooden panels or shab-chic concrete and puzzle-box furnishings. The entire hotel exudes a moody yet upbeat ambience, offset by warm lighting and pillowy-soft beds in the guest rooms. Each room at TUVE Hotel is inspired by industrial and rustic designs, promising bright, open interiors, gorgeous views of the skyline and the promise of a quiet escape from the traffic-noise outside. Besides free Wi-Fi, the rooms come with a 40″ flatscreen TV, Bluetooth speakers and other perks like a coffee maker, tea set, gourmet snacks, and a complimentary minibar. Explore the ever-interesting area of Wan Chai by laying your head to rest at the Burlington Hotel. This relatively new 4-star hotel was designed to cater to the whims of business professionals but offers plenty to get in the good books of leisure travellers, too. Burlington Hotel has mastered the concept of mixing business with pleasure. Modern amenities bedeck the bright and comfortable rooms, helping you work (or play) amid a homely feel. Free WiFi is available wherever you venture around the property, and there’s even a free smartphone supplied to keep you in touch as you stomp around during your stay in Hong Kong! For burgeoning shopaholics, the hotel lies adjacent to the Pacific Place complex. Spend a day perusing the world’s hippest fashion brands before ending the day with an indulgent spa back at your temporary home. The Burlington Hotel’s convenient location next to Stone Nullah Lane also gives you the chance to slurp up noodles at the open-air restaurants, and pick up some traditional souvenirs. Situated at the center of Hung Hom Bay, Kerry Hotel Hong Kong is more a total urban escape than your run-of-the-mill HK hotel. Lush green spaces surround the property lending a calming and serene atmosphere in a city that’s always on the move. At every turn (even in most of the guestrooms) the spectacular harbour views from the Kerry Hotel wow guests through floor-to-ceiling windows. Even simply filtering through the hotel, admiring the first-rate art collection and impeccable designs, is a pleasure in itself. It’s quite possible that Kerry Hotel offers the best value stay among our mid-range picks. 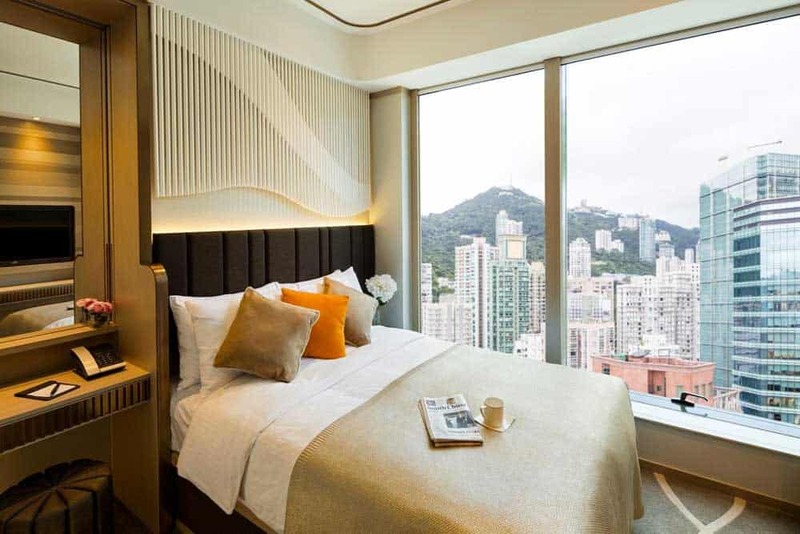 In almost any other city in the world, this 5-star delight would be a top luxury hotel; in Hong Kong’s inflated high-end accommodations market, however, the stellar Kerry Hotel falls to the middle of the pack price-wise with rooms starting at under $250. The location, a little further removed from the centre of Kowloon or Central than other luxury properties, might tip the value scale in our favour. Nonetheless, the Kerry Hotel is still just 20 minutes by foot from Tsim Sha Tsui East, a hubspot for shopaholics. And, besides, in Hong Kong some peace and quiet can go a long way! Now comes the fun part! (Or maybe not-so fun part for your wallet). The top-end of Hong Kong’s accommodations scene is truly remarkable. This is one of the few places where Asia’s reputation as a budget-friendly travel destination doesn’t hold up. Like choosing where to stay in Singapore or Tokyo, HK will (really) cost you if you’re gunning for the ultimate in luxury. What you’ll get at the upper end, though, is magnificent. The best luxury hotels in Hong Kong are simply divine, delivering world-class service and palatial rooms fit for royalty. Among all the five-star hotels in Hong Kong, the InterContinental Hong Kong might be the best when it comes to views. Located right above the Avenue of Stars along the Kowloon waterfront, the InterContinental faces gloriously to the gleaming skyline of Hong Kong Island. The bland exterior of the hotel is easy to mistake as an office building, but inside, the level of glamour and flamboyance takes you by surprise. Every room features stylish contemporary designs with classic Oriental splashes. Floor-to-ceiling windows throughout the InterContinental Hong Kong deliver luxurious views of the luminous skyscrapers bordering the vast Victoria Harbour. For an ever more intimate cityscape viewing party, skyline gaze while soaking and relaxing in one of the 3 infinity pools during your stay. If that wasn’t enough, the InterContinental Hong Kong is home to Yan Toh Heen, a Michelin-starred Cantonese restaurant that will tame your cravings as well as any in the city. Four other on-site restaurants—dropping down Asian, Japanese, French classics—can bridle your appetite if you’re all Cantonese-fooded out. An architectural marvel in its own right, The Ritz-Carlton Hong Kong claimed the title of the highest hotel of the world when it added extra floors in March 2011 to top off its 1600-foot design. The 312-room Ritz-Carlton is a showstopper, to say the least. A rooftop infinity pool, decked with a ceiling of plush LCD monitors showing views of the sky outside, is just one of the highlights you’ll find in splurging for this luxury hotel. Unwind on the 116th floor where there’s a spa that merges Western and Eastern methods for treatments, including hot lava exfoliation. The Lounge & Bar, sky-high on the 102nd floor of The Ritz Carlton Hong Kong, is adorned with sparkling crystal firepits; it’s the perfect place to relax for an afternoon tea or an evening cocktail after a day of sightseeing. Even better for nighthawks is the ever-happenin’ Ozone on the upper floor, interestingly enough, the highest bar in the world. Foodies would do well to not miss the eye-catching assortment of 8,500 bottles of wine lining the walls of Tin Lung Heen, a Cantonese restaurant that snagged two stars from Michelin. The Ritz Carlton’s swoon-worthy Italian restaurant, Tosca, is similarly celebrated with a one-star nod. The rooms are no less impressive either. You’ll love the elegance of the cream and chocolate furnishings that stand in quiet contrast to the beautiful harbour views outside. 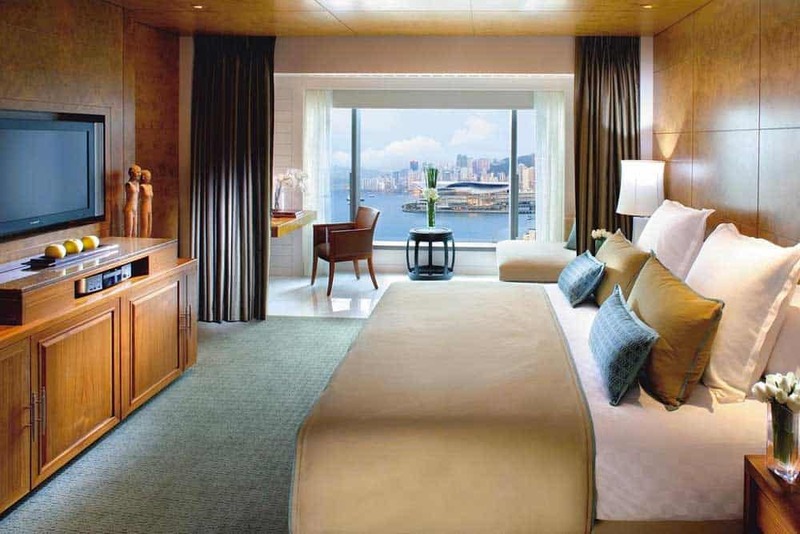 Ever since its inception in 1928, The Peninsula Hong Kong has set the standard for Hong Kong luxury hotels. Travellers with a love for sleek, high-tech features may find it difficult to appreciate the old-world charm of The Peninsula; either way, there’s no denying that this hotel exercises pure class and delivers splendor to the hilt. Imagine a magnificent colonial façade framing a fleet Rolls-Royce limousines—that’s the first cue of Peninsula Hong Kong’s glamour quotient. The beguiling first impression continues into the lobby, a meeting spot of global dignitaries, where you’re greeted by bellboys in smart uniforms and a classical string quartet. The grand staircase in the center whisks you to the 300 guest rooms, all adorned in the formal English-manor style with glazed wood furniture, Chinese ceramics and murals. Lighten your load after a day of sightseeing in the Peninsula Spa, battering out stress with a relaxing massage or loosening soak in a hot tub. Or if you’d rather spend your evening eating & drinking, dine on modern European cuisine at Felix, a rooftop restaurant that’s sure to tickle your tastebuds and your eyes with its sweeping views. Other cuisines like Chinese, Japanese, and, oddly enough, Swiss beckon elsewhere in the hotel. A serene waterfront background and a jaw-dropping height are first two things you’ll notice about the Island Shangri-La Hong Kong. 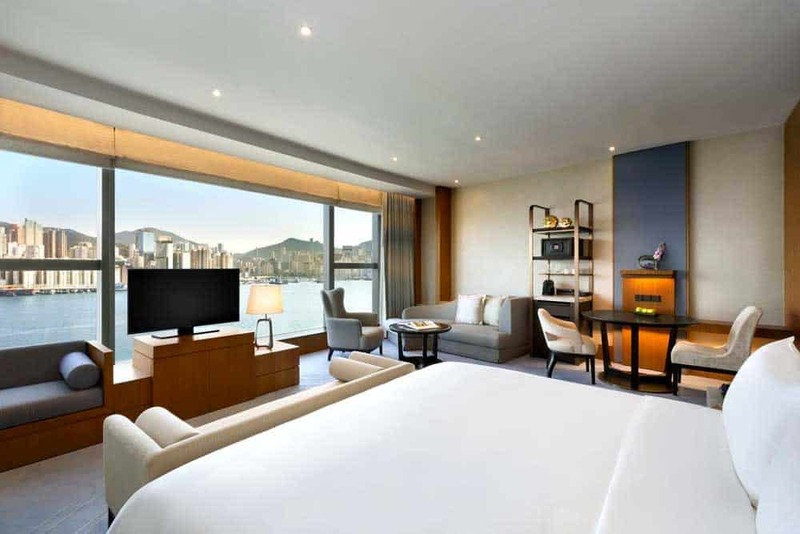 Touted as one of the poshest high-altitude lodgings in Hong Kong, this 56-story hotel, rising above the Pacific Place Shopping Complex, features 565 airy rooms with floor-to-ceiling windows that offer splendid views of the Kowloon skyline and Victoria Harbor. Each room is outfitted with glamorous mahogany furniture, sleek crystal chandeliers, as well as lacquered Chinese-style cabinets sitting that collide with the modernity of the flat-screen TVs that sit atop. Silky curtains—resonating in tones of gold, orange and cream—frame magnificent views unto the harbour. You’ll love the marble baths, as well, with their magnifying mirrors and bidets. If you’re a business traveller, there’s an hourly shuttle from the Island Shangri-La Hong Kong that takes you directly to the Hong Kong Convention and Exhibition Center without charging a cent. Hedonists will love the chance to flamboyant 28-metre outdoor pool that is, of course, heated in the winter. Shopaholics will likewise appreciate the ritzy retail shops located just a stone’s throw away for the Island Shangri-La. A prominent fixture of the city, Mandarin Oriental Hong Kong has been the favorite for visiting delegates like Henry Kissinger and Margaret Thatcher. Located in Central District near the shoreline, this legendary hotel has been recently renovated to incorporate enlarged rooms fitted with glass balconies. All 502 rooms are equipped with sophisticated amenities including Wi-Fi, iPod docking stations, touch-screen lighting, and temperature control. The decor is refined and exudes opulence in every corner. Elegant wood wall panels, refurbished velvety fabrics and colorfully polished Asian ceramics grace each room at the Mandarin Oriental Hong Kong. Rejuvenate in the care of professional at the lavish spa featuring Oriental herbal steam rooms, and Chinese and Ayurvedic treatments. Rather stay in the comfort of your own room? Languish in the deep soaker tubs to breathtaking city and harbour views. When it comes to dining, there’s 10 different restaurants and bars to choose from at the Mandarin Oriental Hong Kong. The classic Cantonese delicacies of Man Wah are a good place to start (you are in Hong, after all! ), but don’t miss a chance to sample the modern French cuisine of Pierre, a fine dining restaurant bearing, not one, but two Michelin stars. Looking for a clean and comfy room on a budget? Set your sights for Kowloon, the city’s best area for budget travellers. For clean rooms and an excellent (if a little rough-around-the-edges location, try out the HK Peace Guest House. Got a little more to spend on accommodation? 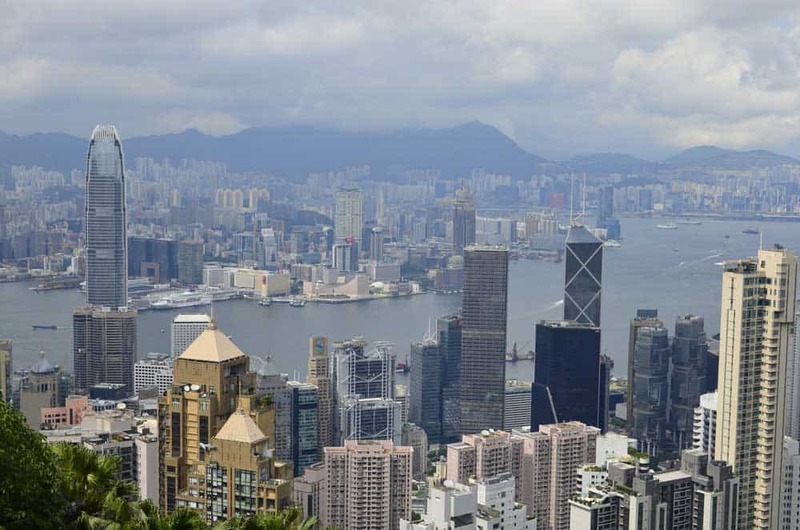 With a bit bigger budget, most of Hong Kong opens up to you. Choose between either the epic harbour views Metropark Hotel Causeway Bay on Hong Kong Island or the central location and classic European flair of Shamrock Hotel in the Tsim Sha Tsui area of Kowloon. Ready to stay in one of the world’s best luxury hotels? Head for the skyscraping glitz and bustle of Central to stay at the ever-graceful Mandarin Oriental Hong Kong.